Since 2004, Roses counts on a modern full-facility marina. Port Roses has a total mooring capacity for 485 boats. 374 are for permanent mooring, the rests is available for non-resident mooring. The port’s perfect integration into an urban space, the modern facilities and the range of services make the it a standout among the marinas in Catalonia. It is the only port north of Barcelona capable of accommodating boats from 25 to 45 meters. 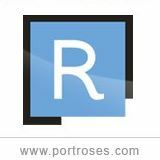 Port Roses is owned and operated by a public company of the municipal government. Town councillors make up the board and seasoned professionals are entrusted with the day-to-day operation. Their objective is to provide resident as well as visiting crews with high-quality facilities and services. Port Roses has been awarded with the Blue Flag. The Blue Flag distinguishes marinas that make a special effort with regard to the environmental management of the installations and the surrounding natural area and that it provides users with information on environmental issues. In order to obtain the Blue Flag, a marina must meet a series of requirements related to accessibility, education and environmental information, environmental management and security services, as well as cleaning and water quality. GEN headquarters are located on the pier of Port Roses. There, GEN has been transferred assets such as its headqaurter building, the launch ramp and the adjacent dry beach.